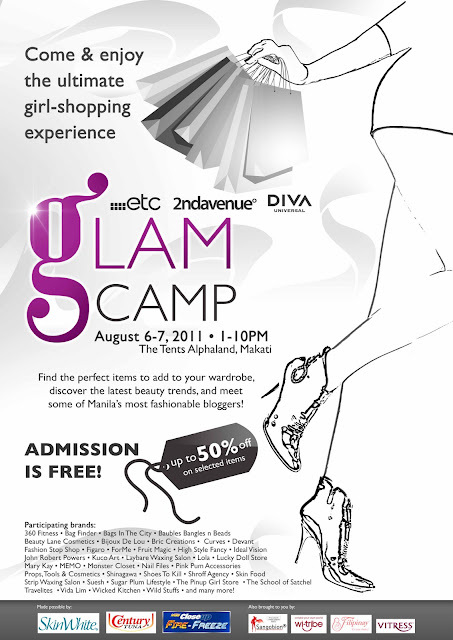 Satisfy your urge to shop with ETC, 2nd Avenue, and Diva Universal as they presentGlam Camp this August 6 & 7 at The Tents, Alphaland. Join them for a weekend of fashion, beauty and wellness, featuring over 40 participating brands. On top of all the fabulous finds that shoppers have up for grabs, Glam Camp will also hold various talks on fashion and beauty on August 6, Saturday starting at 5PM. Making your shopping experience all the more relaxing, enjoy the music of a live DJ on both Saturday and Sunday evening at 7PM as well as free flowing cocktails, the perfect companion to those still on the hunt for their must-have purchase. Glam Camp opens at 1PM on both days, closes at 10PM and admission is free for all. I'm sure majority of bloggers are familiar with Paradigm Shift. The brainchild of the very talented blogger and designer, Karl and Mike. I am proud to show you their new collection, PURE. Paradigm Shift was inspired to make a collection devoid of colors and complications. Influenced by the Japanese idea of minimalism and reaffirming the beauty of fluidity , the garments though simple can be worn in various ways. As for the accessories, intestine-like neckpieces and cuffs made of cotton wool were created to balance the blank and unadulterated clothing. The lightweight fabric which was made of single knit cotton, chiffon and mesh leads you into a dreamy state with sheer trails, easy silhouettes , undulating drapes. I hope this made your gloomy day a bit better! :) Take care, everyone!